Owners of antique properties always wish to re-introduce or preserve the showpiece of a fireplace on the elegance of their original home. When it comes to historical fireplaces there are some great models of fireplaces in the market today in their original form or as perfect reproductions. 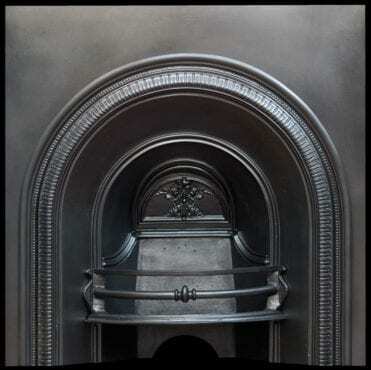 A classic Louis fireplace projects about nine inches from the wall. Its front is flat with a box like wide rectangular opening. The Louis Revival fireplaces are more stylish than their corresponding British marble fireplaces made by Italians with extra finishing done by French craftsmen. The Louis XV fireplaces which are more popular today are much more suggestive of the 19th Century than their unique for-bearers. The Louis XVI fireplaces are square and masculine in the design resembling their English counterpart marble design which has been popular for the last two hundred years. Statuary marble used to be the main material for designing and manufacturing fireplaces. However, the beginning of the Napoleonic wars and the expensive cost limited its use to luxurious public rooms. The Regency period model has maintained its popularity and inspires many fireplace designs today from modern interpretations to authentic reproductions for renovation projects. Fireplaces from the Regency period have proved to be easy to reproduce than the more decorated predecessors. Up until the demise of Prince Albert in 1861, designs for Victorian fireplaces were deeply influenced by features noticeable in Regency and Georgian designs. There was a revival of Louis fireplaces during that time especially due to the accessibility of original fireplaces from France during the French Revolution. The advancement in iron working techniques and the growing industrialisation and urbanisation created the need for a homogeneous fireplace that was cheap and easy to manufacture. It is also important to note that modernisation and industrialisation in the mid and late Victorian period were greatly influenced by the Arts and the rise of Art Deco designs. If you want to install or renovate a fireplace the options are limitless, there are many contemporary, and old-fashioned designs that you can choose from. However, you need to ask yourself some fundamental questions. What interior design finish do you want to accomplish to match your home? Do you need the fireplace as a primary or secondary heating source? You also need to determine what fuel would suit your household and lifestyle. Some external limitations such as available flu or chimney, smokeless zone are also important to consider. Antique Fireplace Restoration Company in Manchester will help you to weigh all these options and give you the best solution for your situation.